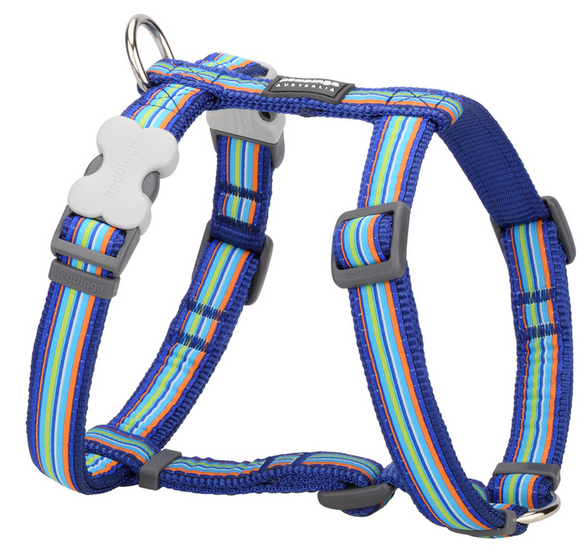 Red Dingo dog harness is an eye catching design with it's vibrant stripes on blue nylon, you and your dog will be turning heads whilst out on walks. This harness is fully adjustable available in X small, Small, Medium and large. 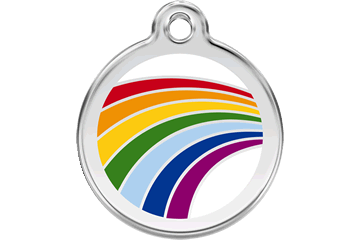 This harness is a striking array of colours. It's navy blue nylon has a multi coloured striped overlay. The striped band consists of navy, turquoise, lime green, leaf green, orange and white.